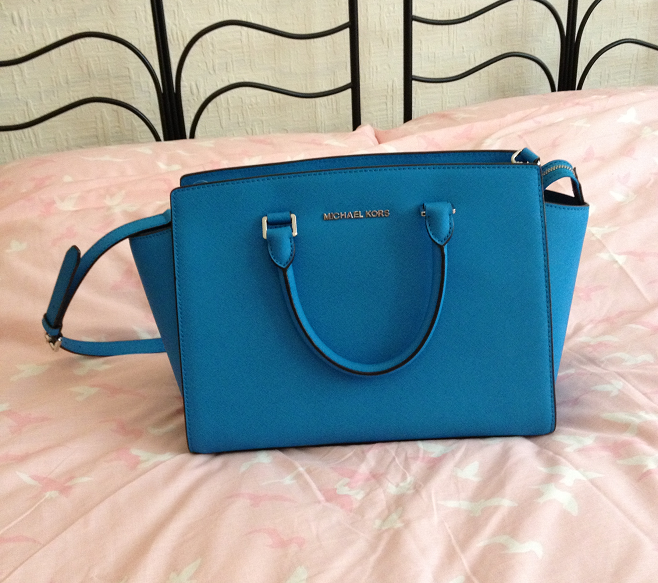 I've been lusting over Michael Kors bags for the last year or so now and I purchased my first one back in September. 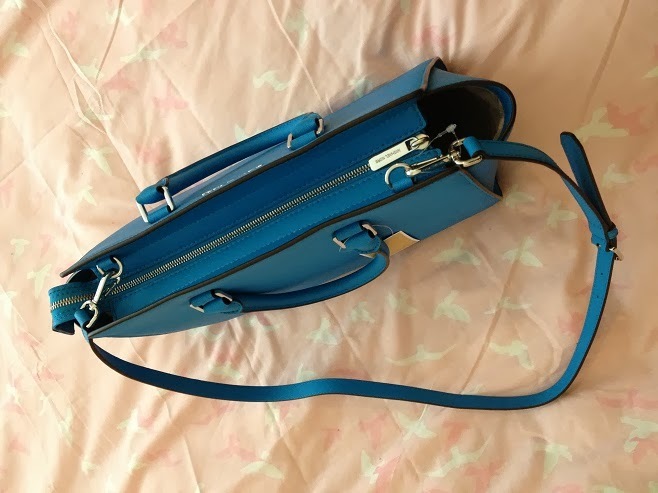 I've really been wanting a 'Selma' since and I thought I'd buy it in black but they seemed to be sold out for ages but then I walked into Fenwick earlier in the week and saw lots of brand new stock including this lush blue Selma and a bright pink one! I loved them both and couldn't leave the shop without buying the blue one. They also have those colours in the some other styles too, very tempting! These bags are so nice and stylish. I never thought I'd spend £315 on a bag but I guess it could be worse, it could have been a Mulberry! I actually prefer Michael Kors bags though, I would own most of them if I could! I'm assuming this colour is limited edition for Spring/Summer and it's official shade name is 'Summer Blue' according to the tag. I love the silver hardware on it and it has a detachable long strap for carrying it over the shoulder as well as the shorter handles for hooking over your forearm or simply holding in your hand. The bag is generously sized so you can fit lots of beauty essentials in here along with your packed lunch for work and an iPad if you have one! There are some fab inside pockets too, one big one with a zip along with some smaller ones. The inside fabric is beige with the 'MK' logo throughout. 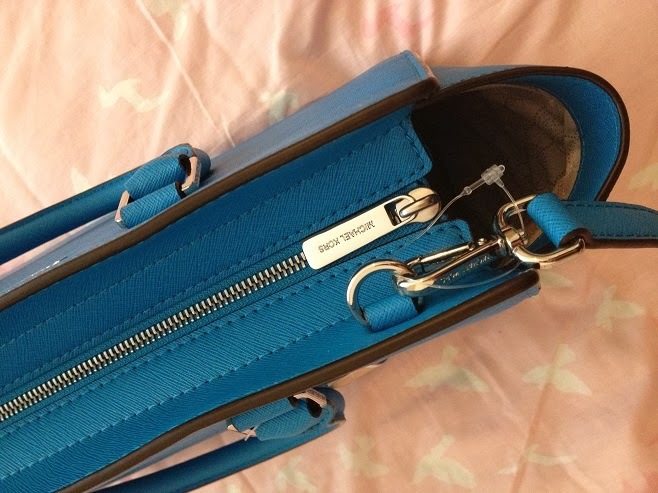 There is also a leather strap inside the bag with a metal fastening to attach your keys to so they don't get lost in your bag. If I could describe this bag in one word, it would be PERFECTION! So basically I'm love with a bag! 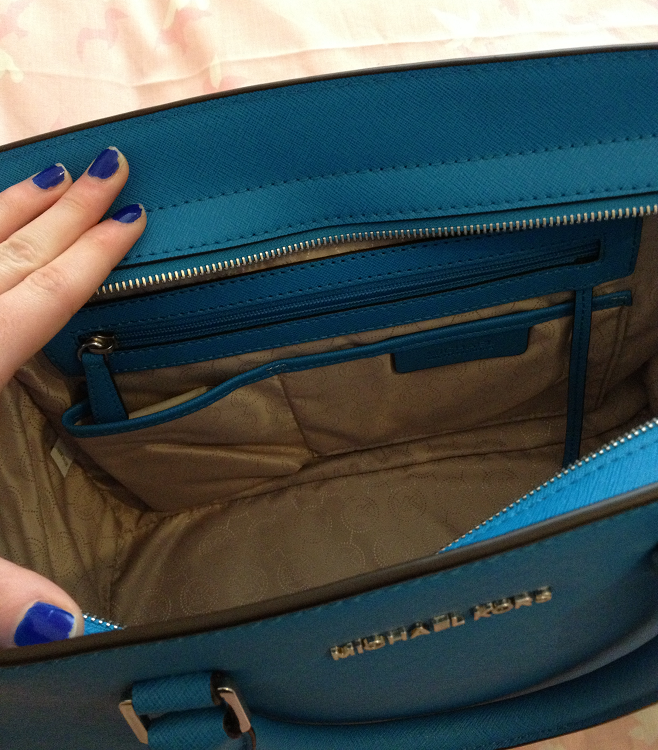 Please excuse my disgusting chipped nail polish but I was desperate to show my lovely new bag! 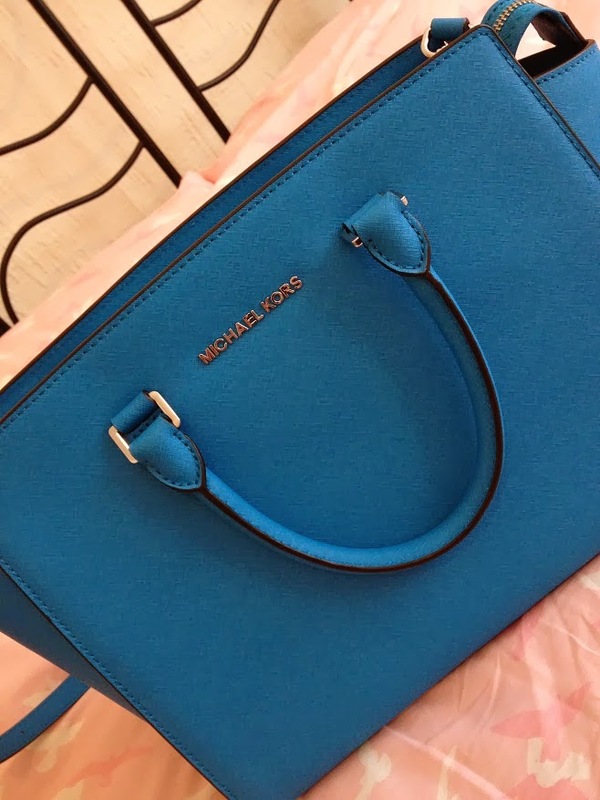 I haven't seen this colour on any websites yet so I'm unable to post a link for it but if you want this, I would definitely take a look in your local Michael Kors stockist. I absolutely love the Michael Kors department in Fenwick Newcastle. I must accidentally walk past it at least once a week! Do you own a Michael Kors bag? What is your favourite type of bag? I love this!!! Such a beautiful bag and I love the little key holder inside, what an idea! Ooooh it's so pretty! Lovely colour too!